Having IID Power outage today? Here check out the status of services and reports about the outages from community. 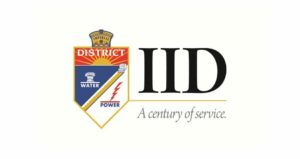 IID is also known as Imperial Irrigation District, the company provides water for irrigation to about 500,000 acres of Imperial valley farmland. In addition to this is also provides electrical energy service to the residents of valley. IID was founded in 1911, and now it provides electric power to about 145,000 customers in the valley and in some parts of Riverside and San Diego. The consumers of IID Power services can report an outage to the official customer service number at (760) 335-3640 or toll-free number is 1-800-303-7756. If you got your power down, the very first thing you should do is to check your circuit breaker and then see if your neighborhood is also in dark, then there may be possible IID Power outage. Turn-off all the appliances and don’t ever turn on all of the appliances at once after the outage is fixed, voltage fluctuation can damage them very badly. You can also report any sparking you see in the street, if you got that the meter reading fake OR you meter is tempered you can make complaints to IID Power company. If the problem is with the server of iid.com/ OR you got any error while paying bill online you can connect to IID Power customer service. 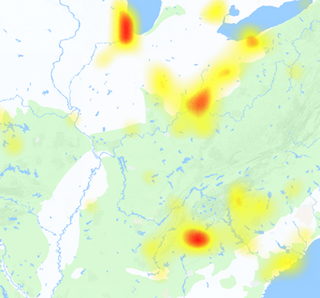 Submit reports here and also see what is happening with the service with the help of IID Power outage map available here. Update with Indio Power Outage: Repairs in progress, estimated time of restoration 1/2 hour. Updates to follow.